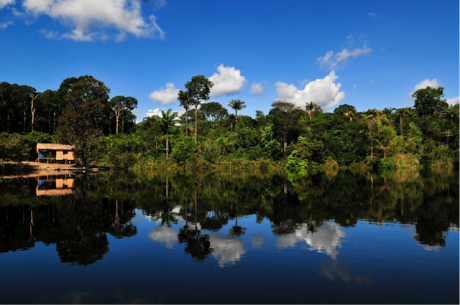 Brazil, Colombia, Ecuador and Peru have appointed new ministers in charge of the Amazon. Who are they? Brazil, Colombia, Ecuador and Peru have appointed new ministers tasked with making critical decisions on the Amazon, at a time when the world’s largest rain forest faces huge challenges. Rates of deforestation have increased and threaten the planet’s largest oxygen reserve. Ricardo Salles was the last of the 22 ministers appointed by Jair Bolsonaro. Bolsonaro picked Salles to lead the Environment Ministry after reneging on his proposal to abolish it, which was widely publicized during his election campaign. Salles does not clash with the president-elect on environment issues. One of his first comments on being appointed was: “the discussion whether or not there is global warming is secondary”. He has pledged to simplify environmental licensing, ease the fiscal burden on rural producers and make the work of the ministry “more efficient”. He also promises to “defend private property” from social movements and ethnic communities. Indigenous groups will probably be the most vulnerable under his watch. Bolsonaro has announced that he wants to allow mining on indigenous communal territories. Salles’s appointment, which was well received by the country’s large agricultural producers, caused great concern among environmentalists. His control of the ministry has come at a time when the rate of deforestation in the Amazon is increasing. According to data from the National Institute of Space Research (INPE), between August and October 2018 deforestation grew by 48.8%. Environmental campaigners did, however, welcome Salles’s announcement that Brazil will not withdraw from the Paris Agreement on climate change. Still, a lot can change. Salles stands accused of violating environmental laws by altering the management plan for the Várzea do Rio Tietê protected area during his tenure at the São Paulo State environment office with the "clear intention of benefiting economic sectors". The case may be problematic for Bolsonaro, who was elected on a promise to fight corruption. Ricardo Lozano, the Colombian Environment Minister since August, assumed his post at a crucial time. Two years after the signing of the historic peace agreement with the FARC, deforestation has rapidly increased in the Amazon and in many other regions formerly controlled by the guerrillas and drug traffickers. Lozano is a geologist, and the first Colombian Environment Minister with extensive experience in the field. He is known for having led IDEAM, Colombia’s meteorological institute, ever since he created it in 2012. IDEAM is a robust forest monitoring system which publishes early warnings of deforestation trends every three months. That is precisely Lozano’s biggest challenge. Colombia is losing some 219.973 hectares of forest per year and the current government came to power with the promise of promoting the country’s large agricultural sector. Throughout his career, Lozano - whose appointment was welcomed by environmentalists - has worked extensively on important issues for Colombia and the Amazon such as climate change, risk management (in a country that contributes little to global greenhouse gas emissions, but is very vulnerable to the effects of extreme climatic events such as floods and landslides), and water resource management. That being said, Lozano still faces the challenge of communicating the urgency of these problems to other government departments. “Deforestation is not only a problem for the environment ministry or for just one minister, but for the State,” he has said on several occasions. Marcelo Mata Guerrero, the new Ecuadorian environment minister, took office last month - in the midst of a cabinet re-shuffle by President Lenin Moreno. His appointment concerns those working in the Amazon. Mata is a lawyer who managed environmental issues in the hydrocarbons sector. He was responsible for the environment at the Repsol Ecuador oil company and an adviser on environmental and social issues at State-owned Petroecuador. He also held several environment-related positions at the Mines and Petroleum Ministry, where he was national director of environmental protection and coordinator of social participation and community relations. “It is unacceptable that the head of the Ministry of the Environment is a former corporate officer of the first company to extract oil from Yasuní national park, the most bio-diverse area in Ecuador, where there are people living in voluntary isolation”, says Elizabeth Bravo from the influential NGO Ecological Action. “He has also participated in designing public policy measures for the mining sector, and thus environmental movements in the country fear that his appointment will facilitate mining operations in areas that are environmentally vulnerable”. Fabiola Muñoz Dodero is a lawyer. She became Peru’s Minister of the Environment when the country’s new president Martín Vizcarra took office in April last year, after having worked in the forestry sector for the last decade. Until her appointment as minister, she led the National Forestry and Wildlife Service (SERFOR), an agency connected to the Ministry of Agriculture, the highest forest management authority in Peru. Prior to that, she led the US Forest Service programme in Peru. She has spent an important part of her career fighting illegal activities that decimate the Amazon and other Peruvian ecosystems. At SERFOR, she focused on logging and the illegal wood trade, joining the National Pact for Legal Wood aimed at ensuring that by 2021 all commercialised wood in Peru has legal origins and is verified. Now, as a government minister, she focuses on illegal mining and deforestation, and stresses the need to find alternatives for the concerned communities. “We have to recognise that the State is not usually efficient in creating the necessary conditions for legal activity to be cheaper and faster than illegal activity,” she said in April. The Vizcarra government expects the new minister to build bridges with the private sector. “We need a Minister of the Environment who understands that the best way to maintain the environment is by generating investment in the country, but in a responsible way for the sector, which she will do”, said Prime Minister César Villanueva after appointing her. What may help Muñoz is her previous role as manager of community relations at the Peruvian subsidiary of the Anglo American company, which operates the Quellaveco copper mine.